Next review Omega XL works for me. 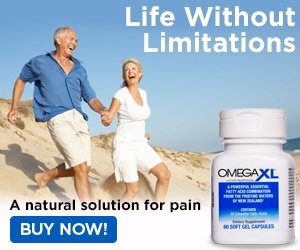 because of OmegaXL I can sleep better, have less pain in my neck and hip. It is easy to take, and is a natural remedy. I have kidney disease, and it does not effect my kidney health. I also take the probiotic and healthy heart. They are great products. Give them a try. We heard about them on our TV and it is easy to order them and shipping and paying procedure is easy and reasonable. You will notice great results in just a few weeks. 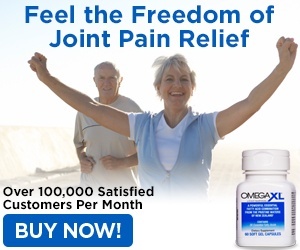 They have a referral plan, where you can get compensated for referring friend and family. Order some today, you will not be disappointed. Review #1086801 is a subjective opinion of User1086801.